Comes with a Coopers Lager. Its the only really complete starter beer kit. Its a BrewSmarter starter kit with special Ox-Bar bottles. In other words, its got absolutely everything you will ever need to make homebrew beer (except a heating brewbelt which is useful in colder months in order to keep your fermenting beer at the correct temperature). If you have a warm room (18 oC to 22 oC), you won't need a heating belt. 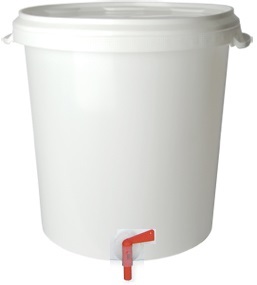 Also contains brewing sugar (Glucose / Dextrose Monohydrate) to improve the quality of your home brew beer unless you opted for a top quality Craft Range kit which is all malt and doesn't require brewing sugar, and Coopers Carbonation Drops to make bottling your homebrew beer a breeze.